1. 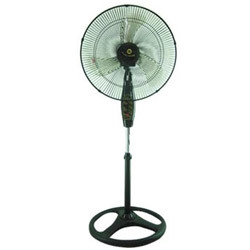 18" stand fan (industrial stand fan). 3. W sscillation stand style. 5. With transparent blades (AS material). 1. 1set / CTN / 1.6’. 2. 630 sets / 20’cy, 1280 sets / 40’cy, 1500 sets / 40HQ cy.